Alcohol was involved in a cross-county average of 29% of all motor vehicle accident deaths in Florida. Whereas some counties were as low as 19%, others were as high as 65%. Counties around the Jacksonville area ranged from 25% to 44%. On the lowest end of the spectrum, one out of every five fatalities involving a motor vehicle had alcohol involved. On average, one out of every three deaths were attributable to alcohol. Over the ten-year period between 2003 and 2012, 8,476 lives were taken in drunk driving accidents, nearly 850 per year. While it should never happen, it does too often. If your loved one is taken from you by a drunk driver, the driver will be held accountable on criminal charges but you can also file civil charges against them in a wrongful death lawsuit. While Florida is considered a no-fault state, there are specific times when you can file a lawsuit against a negligent driver. These include when you ensure a “serious injury” as defined under Florida civil law and death. In this case, you or the estate of the deceased can sue the driver directly. In the latter case, it is the representative of the deceased’s estate that brings the wrongful death charge on behalf of the estate. 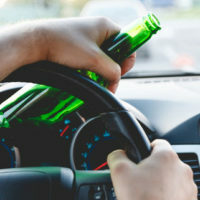 In cases where a driver who caused the accident is driving under the influence of drugs or alcohol, the plaintiff can pursue punitive damages on top of compensatory damages. In a wrongful death lawsuit, compensatory damages include elements like the prorated amount of the earnings the victim would have received during the course of their life had they remained alive. In addition, out of pocket expenses related to medical care and the funeral are included. It also includes non-economic damages like the pain and suffering of the deceased and individual family members emotional damages. Punitive damages are different. While compensatory damages serve to compensate the deceased’s estate and family, punitive damages are meant to punish the defendant for their disregard for the rights and safety of others. In a personal injury claim against a drunk driver, it is not uncommon for the plaintiffs to be awarded both. PIP insurance companies will cover a DUI victim’s damages up to the at-fault driver’s policy limit. You can also file claims with the at-fault driver’s insurance company. In addition to that, you can sue the at-fault driver directly. Each of these options requires the help of a skilled traffic accident liability attorney who is family with DUI cases. In cases where the drunk driver has a large amount of assets on which to draw, the estate of your loved one stands a much better chance of recovering the full value of your property. In cases where the at-fault driver does not have a large estate themselves, suing will likely only drive them into bankruptcy which is something you can pursue if you’re seeking justice. Gillette Law in Jacksonville has a history of success recovering damages for those who have lost a loved one in a drunk driving accident. Give us a call or talk to us online to set up an appointment today.